As per the latest sales figure of August 2018, we get to know the newly launched Burgman Street is the second best selling Suzuki product, ahead of Gixxer too. The Burgman Street retails at a price of Rs 68,000 (ex-showroom Delhi). The recent addition in the Suzuki family as well as in the 125cc scooter family is the Burgman Street (Read More). The maxi-styled scooter is one of its kind in India and is a premium scooter. 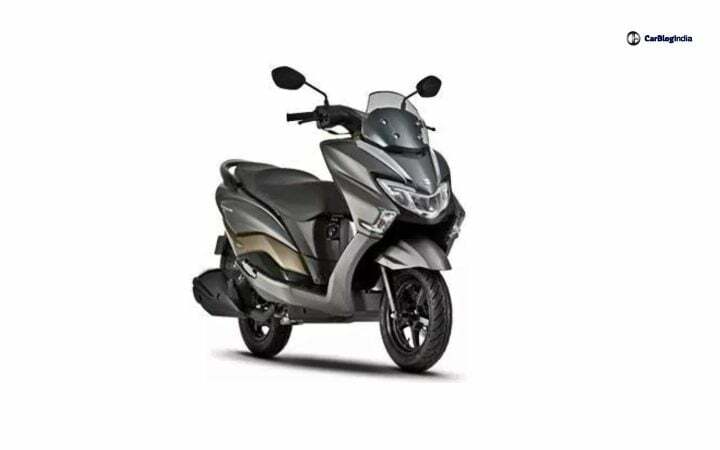 Suzuki launched this scooter in July 2018 and in August, it has already achieved a sales figure of 7,365 units. Now, it is the second best selling Suzuki product in the month of August. It also leaves the much popular 150cc Gixxer but is very much behind its best selling product, Suzuki Access. 7,365 units of the Burgman Street were sold in the first month of its launch. The numbers are pretty decent in the first month. Currently, amongst its rivals, Ntorq is the best-selling scooter with around 18000 units. Following the Ntorq, is the Grazia at 15,000 units. However, Burgman steers clear of Vespa and Aprilia. One of the reasons for the popularity of the Burgman is because of its new design work. The maxi-styled scooter looks bigger and much sporty. It carries a disproportionate look when you compare the front portion of the scooter with the rear portion. However, it has the looks that a youngster is looking out for. The Burgman Street comes with a 124.6cc SEP engine that produces 8.7 BHP of power and 10.2 Nm of torque. The engine is borrowed from the Suzuki Access and also the dimensions are pretty similar to that. The Burgman is heavier than Access by 7 kgs. This peppy 125cc engine achieves 0-60 kmph in just 8.5 seconds and recorded a top speed of 95 km/hr. For braking from 0-60 kmph, the scooter takes just 2.3 seconds. The mileage recorded on this scooter is around 43 kmpl. Features onboard the Burgman include LED position lamps, LED headlamps, LED tail lights, fully digital speedometer, plenty of storage options, a 12V socket with optional charging socket, tubeless tires, front disc brake, and a huge boot space. The features are just perfect for a premium scooter but still fall short in front of the TVS Ntorq. The specifications and features of the Burgman look good, but the main issue is its pricing. At an ex-showroom price of Rs 68,000, it is costlier than Grazia and Ntorq by around Rs 5000- Rs 8000. However, with Suzuki’s trusted engine and the new design, the Burgman will continue with a good demand.